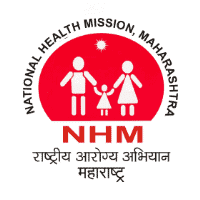 NRHM Maharashtra Notification 2019.National Rural Health Mission Maharashtra has released a notification for the recruitment of Community Health Officer vacancies.Check the eligiblity and notification prior to apply for the positions. Age: Age criteria for open category will be 38 years and for reserved categories it will be 43 years. 1. These posts are purely contractual and not state government’s regular posts.Criteria for selection will be the BAMS final year marks of candidates.Candidates holding higher qualification will be eligible for maximum of 5% additional marks (PG Diploma - 2% & PG degree- 5%). 2 .Candidates from the same Taluka will be given 10% additional marks and candidates from same district will be given 10% additional marks.Only shortlisted candidates will be eligible for training.The candidates clearing exit exam will be appointed initially for 11 months, likely to be extended subject to continuation of the project from GoI. If the same is not extended; candidate cannot claim any right on the post or permanency of job or Job protection by Government or Any litigation regarding the employment protection. 3. The selection committee reserves all the rights to modify or change all the above mentioned criteria without any prior intimation.. Candidates are advised to keep their e-mail ID active at least for one year. All future correspondence shall be sent via e-mail only.